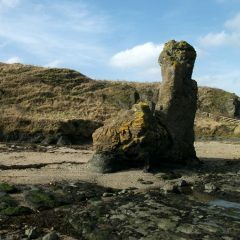 Fabulous fieldtrip to a beautiful part of the Scottish coast with Angus Miller. 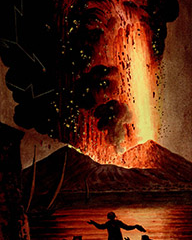 Sedimentary and igneous rocks as well as giant millipede and eurypterid tracks and volcanic vents along with sandy beaches and rocky headlands. 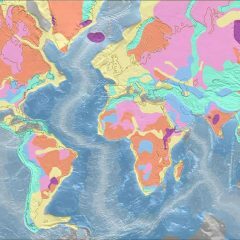 An amazing opportunity for geological exploration! 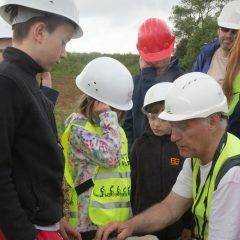 A weekend of fossil and mineral hunting in the Ashover area of Derbyshire and a visit to a disused quarry at the National Stone Centre. 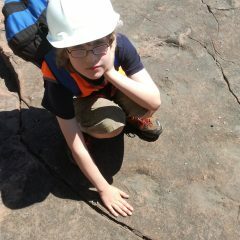 A fabulous two days of geological exploration. Book now! 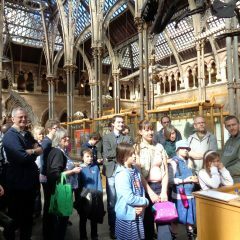 Fabulous Festival with lots of young geologists! 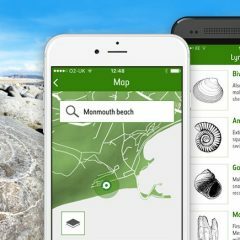 Rocks, fossils, minerals, microscopes and Moon rocks – what more could you ask! If you didn’t make it – put it in your diary for next year when it will be on Saturday November 2nd. Make it a firm date! 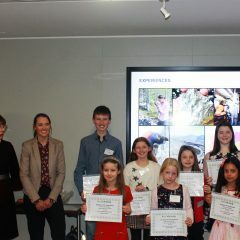 Wonderful entries again this year and it was a great day at Anglo American for the presentations. Thank you all for sending such superb entries and if you didn’t win – better luck next year! Wonderful Wales! 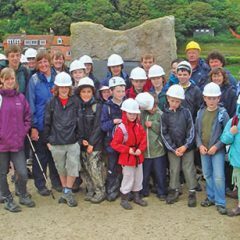 Great Rockwatch trip to Pembrokeshire! The tiny city of St David’s was the centre for an amazing trip to Pembrokeshire. 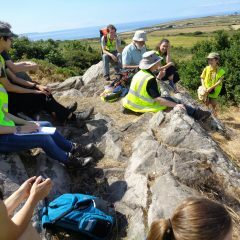 A weekend fieldtrip with lots of geology, old slate quarries and sunshine! 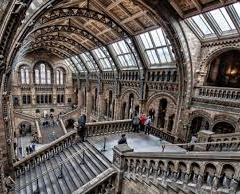 Check out the Events and try and come along on a fieldtrip. There’s a fabulous one to Cayton Bay in Yorkshire on 24th August! Otherwise check the list and see if you can come to any. 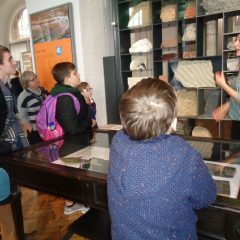 Rockwatchers had a really fabulous time on a private tour of the Alfred Gillet Museum in Street, Somerset. 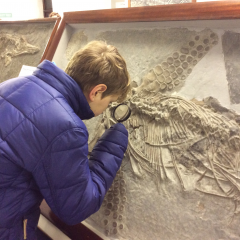 The Museum houses some of the finest Ichthyosaur fossils in the country and we had the benefit of experts showing us around. Thank you to everyone involved! And if you missed the trip, look out for the next Events Leaflet coming out next month and make sure you book early. A great time was had by all! 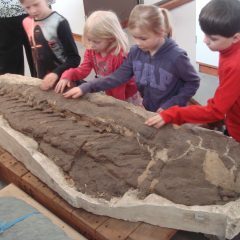 Rockwatchers were introduced to the Ichthyosaur fossils at the Alfred Gillet Museum in Street, Somerset. 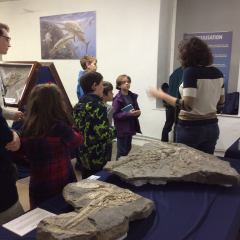 Experts took them on a private tour to see some of the best Ichthyosaur fossils in the country! 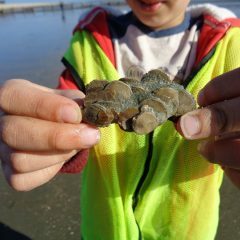 Rockwatchers with their finds! 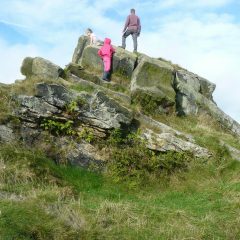 Rockwatchers had a great day out with geologists Paul Hildreth and Mick Oates. 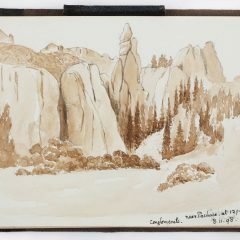 They found chunks of satin spar – a type of gypsum which was one of the typical signs of the desert deposits investigated. See if you can come next time! 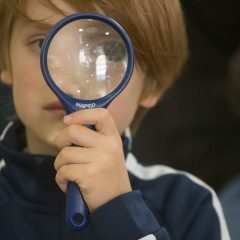 Just keep an eye on the Events Leaflet to make sure you don’t miss any of the upcoming fieldtrips! 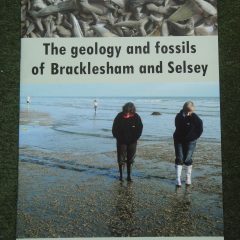 Rockwatchers had such a great day fossil collecting in Bracklesham a few weks ago. 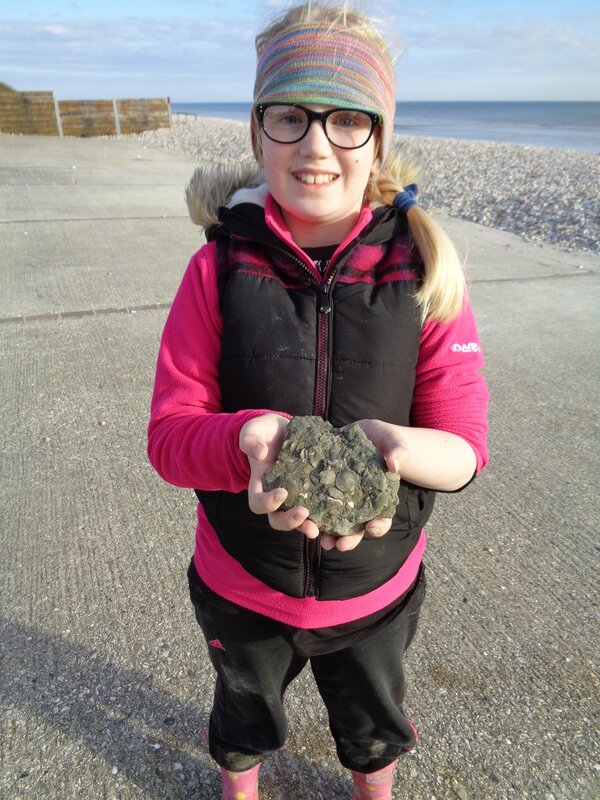 Wonderful fossils were found as you can see! And now you can have another opportunity to go there on July 22nd. Hopefully you’ll need to bring sun screen! A great day out for the family! 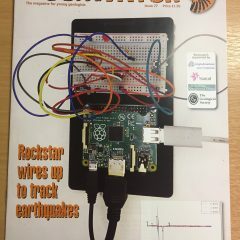 Previous Rockstar Entry for Inspiration! 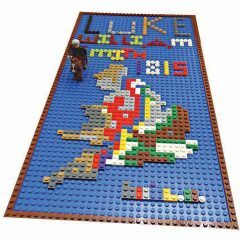 William Smith map in Lego.